Below is a summary of our Swift records for 2014, showing the arrival and departure dates. 2000hrs approx - At least 3 of the Burton Swifts have arrived back. 2000hrs approx - We now have 8 Swifts back on territory at Burton In Kendal. 1930hrs approx - 7 of our Swifts screaming whilst in "follow my leader pursuit" at the 75ft altitude showing a bias over the Royal/Manor House (Burton In Kendal) airspace. Reg kindly sent me photo's of a poor House Martin which he found dead just outside his house in Burton In Kendal. You can see within the photos that the poor bird was infested with blood sucking nasties! in fact they are common parasites within the "hirundine" or Swift communities. On this poor creature there had been six of these nasties which would quickly dash back to cover within the birds feathers on handling the dead bird. I tried to check out what they where from my insect reference books, but nothing showing. I was able to find out further information from the good old internet and their latin classification is "Crataerina pallida" or more commonly called the "hippobosid fly" or "louse Fly" or "Keds". I at one time used to accompany a bird ringer who had licence to ring Swifts and more often than not when caught and handled you would see the birds with several of a unidentified "irridescence beetle" which would quickly scurry back under the birds feathers on handling. Without doubt these beetles were of African origin and I wonder now if these "louse flies" are also of African origin. Getting back to the Crataerina, a very interesting report comes from a .pdf file I read from the East Hyde Historic Bird Reports dated 7th June 1934 and it reports about a Swift and quotes "Of interest a bird seen to drop dead out of the sky, which contained over 20 blood sucking flies of the order Crataerina pallida"
I have already seen other photographs on the net showing exactly the same thing present on House Martins, but would love to know more information in regards to these creatures. It would be nice to have it confirmed that they are of African origin and travel to and fro with the birds during their long migrations, this is what I think must be the case, but any offers of further information on the subject would be most welcome. Photos: Reg Hesketh - Dead House Martin infested with Crataerina pallida or "hippobosid fly" or "louse-fly" or "Keds"
Its that time of the year again, when the Burton Swift Group (Jane, Reg and myself) start doing our weekly checks on our local Swift populations and their nesting sites in our village of Burton In Kendal in Cumbria. We check the status of nesting sites from our previous years records, so we are busy making notes and comparing, and adding to monitor differences etc, and generally for us to try and study our local birds who give us so much pleasure in the short few weeks they are with us. Last night we managed to witness at least six sites being used of which one was a totally new site for our records. And even more pleasing was to see a bird nesting in a gable end wall which has currently got scaffold erected, and it was great to see that the birds were not being "put off" by the scaffold and where able to negotiate access without problem. It is really rewarding watching the Swifts and their behaviour, and so we are intending to do another visit next week on Friday 20th June. We are meeting up at 2130hrs at the Burton Memorial Hall and we would very much welcome anyone who may wish to come along and join us. The more there monitoring these beautiful birds the better. On Friday evening last the village "Burton Swifts Group" had their weekly meet to monitor the local Swifts, checking out the various nest sites along the Main Street within the village and it was a special time having established a further three sites (of which two we were not aware of before although we did have a suspicion of one of them). Its always very difficult to actually count the Swifts in the sky, but we did agree that possibly there could have been at least 23 birds up in the air at once and you would see parties of between 10 and 15 birds coming low in follow my leader fashion, whilst screaming as Swifts do. Further monitoring is planned for next Friday evening when at 2100hrs we shall be meeting outside the Burton Memorial Hall and everyone is welcome to attend and enjoy these "marvels". 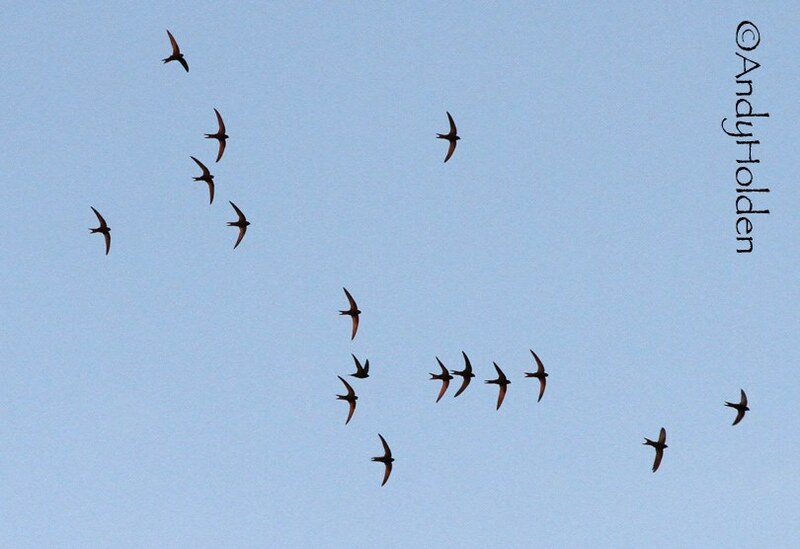 Most of our village (Burton In Kendal) Swifts left us on or around Tuesday July 29th 2014. The last high count had been 41 birds seen flying overhead (locally) on the previous Friday July 25th 2014. On Friday last (August 1st 2014), we still had 11 birds flying overhead with two birds seen to enter their nest site on the cottages adjoining the Post Office. It has been a national trend this year that most of the Swifts throughout the Country are departing back to Africa at least one week to ten days earlier than they normally would do. 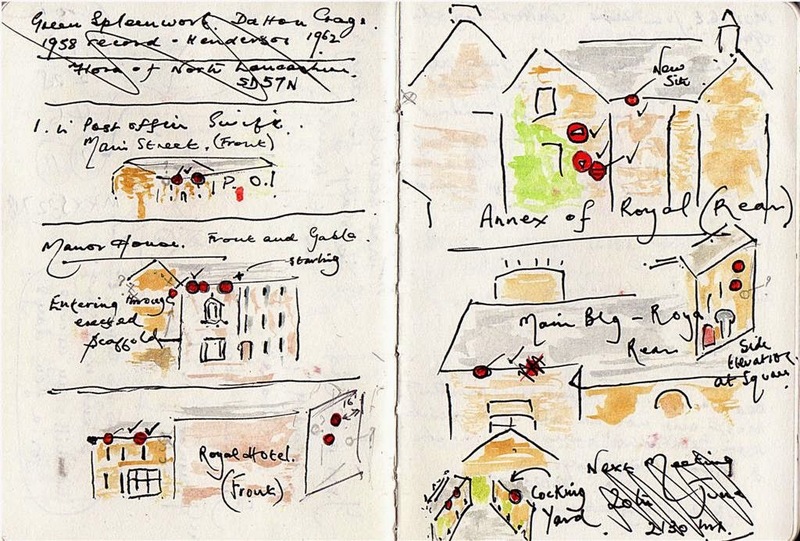 Showing a sketch of the nest sites in Burton. Which we visited on a regular basis during the birds stay with us. This is the blog belonging to the Burton Swift Bird Study Group who are based in the small village of Burton In Kendal, Cumbria. The group try to meet up at least once a week during the time the Swifts are with us, usually we meet on Thursday or Friday evening at about one hour prior to dusk to observe and make notes on our beautiful Swifts, recording their nest sites, monitoring their numbers and making general notes on their behaviour etc. We also where possible try to help builders and planners with suggestions and ideas in relation to Swift boxes or Swift nest sites prior to building renovations or alterations or new builds. We are a small group of about eight people and we would welcome anyone who has a interest in Swifts and their behaviour to come along and join us. There are no fees, there are no chiefs, we are just a very keen small informal group who love to watch and study our local Swifts. We usually meet at the Burton Memorial Hall and the times will be posted on this blogsite but If you want further information please don't hesitate to contact one of the following group members. Swifts have been vanishing from our Citys, towns and villages by incredible numbers and this is why we feel the urgent need to observe and report our findings. We are also affiliated to "Swifts In The Community" which is based closeby in Milnthorpe, which is a organisation reaching out to both North Lancashire and South Cumbria. They gather information on Swifts and forward that information on to the National database who are collating Swift numbers in preparation for ongoing surveys. Also "Swifts In The Community" produce leaflets which are freely given to Planners, Builders and any interested individuals who need advice on Swift nestboxes etc. They also promote local meetings and general swift awareness at local functions. Besides our group in Burton In Kendal, there are other local active groups in Arnside, Silverdale, Carnforth, Yealand, Warton, Grange, Kendal and Sedbergh, who all gather information for the "Swifts In The Community" database. Beside these areas already mentioned, SITC are also looking for Swift information from other areas and would welcome any enquiries from interested parties. Click over the link to reach their website which has all the contact details etc. 2018 - First four Swifts arrived and were recorded at 1930hrs on May 3rd. Increased to 8 birds by May 10th and a further 7 birds arrived on May 11th bringing the total so far to 15 birds (counted). The bulk of our birds (at least 30/40) left in the early daylight hours of Sat 28th July 2018, then we were down to 20 by the 31st, then down to 14 on the 1st, 11 by the 4th, and 5 birds by the 5th and down to our last pair on 6th August. The last pair and their family left us on Mon 20th August 2018. 2017 - First arrivals 1700hrs on May 5th (6 birds). Increased to 10 birds by 1900hrs on May 6th. Increased to 15 at 1200hrs on 7th May. 17 on 11th May. Our first main departure was on Sunday 6th August 2017 when a good proportion of the birds left us. This was followed by yet a further large exit (20 plus) on Friday 11th August and a further eight birds on Sunday 13th August and since that date a single bird was recorded still on territory on 17th August 2017. 2016 - First arrival 1645hrs on May 3rd (single bird), then numbers to 9 on May 4th, increased to 14 by May 5th. A delay of further arrivals until May 22nd when at least 20 birds (total) were seen in the skies. 20 plus birds left us on 5th August, followed by another large departure on 15th and the final bird was seen entering a nest site on the Royal Cottage at 1900hrs on the 18th. It is presumed that this bird and the rest of the family left at sometime during the following day the 19th August 2016. 2015 - First arrivals May 4th - First departures (bulk left us on July 29th/30th), A further 10-12 birds left on Sat 8th August and the final nesting birds departure was recorded on 16th August 2015. 2013 - First arrivals May 5th and last birds seen August 8th (bulk gone by August 1st). 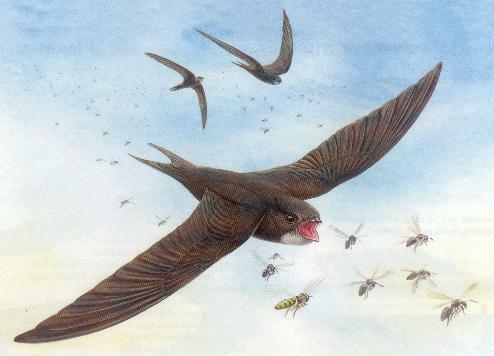 2012 - First Swift seen heading over Clawthorpe on May 1st - but village birds arrival not noted. Departure not recorded but was after July 27th when there were still 15 birds above Burton. I did see a gathering of no less than 50 birds over Morecambe Golf Club on 1st August 2012. 2011 - Five arrivals on May 8th - Departure somewhere around the 9th August 2011. These pages are copyrighted to the Burton Swift Bird Study Group. Simple theme. Powered by Blogger.